A new oral appliance has been developed at the Hiroshima University Hospital for sleep apnea patients. This new treatment for mild to moderate sleep apnea has proven effective in opening the airways. In obstructive sleep apnea, causes throat muscles to relax. This narrows the airways while you sleep. Indicators of the condition include snorting, choking or gasping while sleeping. 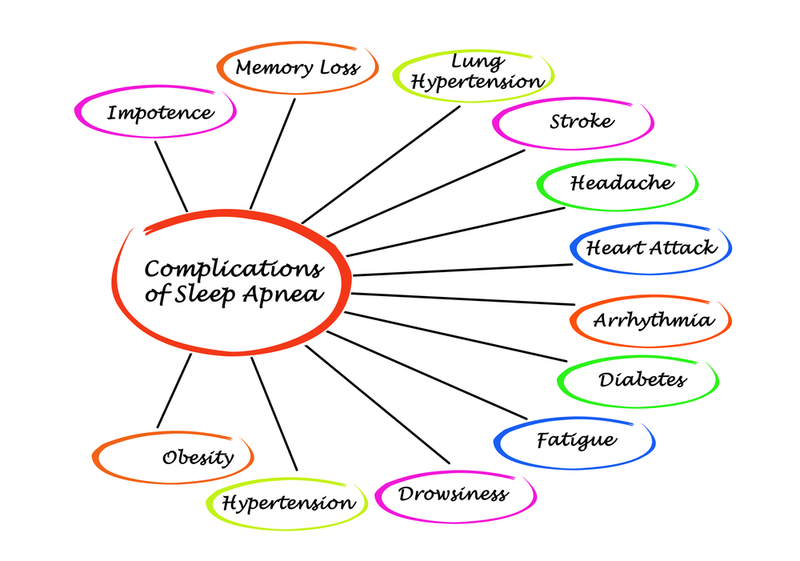 If you have obstructive sleep apnea, you do not sleep properly. You will notice daily fatigue and a short attention span due to lack of sleep. In more serious forms of the condition the effects can be far more severe, even causing death in some cases. Primary treatments at this time include CPAP (Continuous positive airway pressure) machines and single-piece oral appliances (typically made by your dentist). This new appliance brings the jawbone forward and enlarges the air passages at the back of your mouth. The new appliance is custom made for each patient. The new device allows movement of the jaw. This, unlike current oral appliances, eliminates effects on your teeth and eliminates changes in the shape of your face. In a number of previous studies, measurement of the airways was accomplished while the patient was standing. This does not replicate the changes to the airways when sleeping. In the new study, measurements were made while patients were lying down. Based upon these measurements, the device was designed to widen the air passageways in sleep apnea patients. Researchers found that patients using the devices almost halved the number of sleep apnea episodes during the night because it widened passageways to facilitate easier breathing. If you have been diagnosed with mild to moderate obstructive sleep apnea, ask me about these custom appliances. A new study at Columbia University, led by Dr. Yiping W. Han, establishes a link between common oral bacteria and development of colon cancer. The oral bacteria F. nucleatum is a primary factor in the development of plaque and periodontal disease. This study shows that it also plays an important role in accelerating the growth of aggressive colon cancer. This knowledge is important in treating and preventing the second-leading cause of death in the U.S.
A related study discovered that one-third of all colorectal cancers were associated with F. nucleatum. Further, that the bacteria is responsible for creating a molecule called FasA adhesin, which appears to stimulate cancerous activity in colon cells. In addition, they found that a problematic protein, Annexin A1, is present in cancer-prone cells, but not in healthy colon cells. This protein fuels the growth of cancer. The oral bacteria F. nucleatum also encourages further growth of Annexin A1, in effect supercharging development of cancer cells. It is hoped that this research will help in the understanding of the development of colon cancer and contribute to a treatment. Your mouth is the gateway to your body, allowing bacteria, viruses, and more to travel to your organs. A clean and healthy mouth can prevent the growth and transmission of disease causing and promoting bacteria to reach other organs. Your best defense is a strong oral health regimen. Brush for 2 minutes twice daily, floss daily, and visit your dentist twice each year. You may want to add rinsing with mouthwash, as well. Brilliant white and perfectly matched teeth are considered a symbol of beauty and self-care in this country today. Statistics for 2018 indicate that 40.5 million people in the USA used tooth whitening products. We spend more than $1 billion every year on teeth whitening products. New research released this week shows that these whitening products might be causing tooth damage, as well. Several studies have demonstrated that most human teeth are not naturally pearly white. Most teeth are actually different shades and tints that tend more toward yellow than white. The studies also show that natural teeth are not all completely uniform in color. Following upon several studies that have shown that hydrogen peroxide can damage teeth, researchers at Stockton University wanted to learn how hydrogen peroxide harms the teeth, and which part of the tooth it attacks. Specifically, they investigated the whitening strips you can buy in your local drug store and how they damage one of the three layers of the tooth. The main ingredient in over-the-counter whitening strips is usually hydrogen peroxide. It is an oxidizing agent that has many uses. It is used as a sterilizer for wounds. It is also used as a color-lightening agent that is used to bleach hair. As many have learned the hard way, if you use too much hydrogen peroxide to lighten hair, or if you use it too often, it can seriously damage your hair and scalp. An inner layer composed primarily of connective tissue that helps to keep the tooth in place. The researchers found that hydrogen peroxide can penetrate through the enamel and infiltrate dentin. This layer contains about 90-95 percent of the protein collagen. Specifically, they found that the hydrogen peroxide fragments the collagen in the dentin. This causes a loss of collagen mass in the dentin layer of the tooth. The collagen in the dentin and the connective tissue that keeps the tooth in the jaw aids in mineralization and stability. It is also crucial for improving bone density, which is essential to healthy teeth. At this time, the researchers are not certain whether this damage is permanent or if it can be reversed. Their plan to determine whether the hydrogen peroxide affects other proteins contained in the dentin, as well. If you are one of the millions of people using over-the-counter tooth whitening strips, you should know that the hydrogen peroxide used may be harming your teeth. If you wish to continue a whitening regimen, see your dentist and discuss the best whitening option for your needs. Is there a connection between arthritis and jaw pain? The short answer: Yes, in a number of cases. Here is a more complete answer. There are more than 100 types of arthritis and related rheumatic diseases. A list of those can be found here: https://www.arthritis.org/about-arthritis/types/. Each type of arthritis has a unique characteristic in terms of its cause and its pattern. The most common type of arthritis is osteoarthritis. This is the “wear and tear” form that degrades some joints through overuse. Because it is caused by overuse, it typically manifests as we age. Other types of arthritis (including rheumatoid arthritis and psoriatic arthritis) are caused by an autoimmune defect that causes the immune system to attack healthy joints by mistake. When this happens, the joint tissues become inflamed, swollen, twisted, and painful. Arthritis can affect any joint in the body. The autoimmune forms can also affect other types of tissues. The jaw is composed of several complex joints. The movement of the joints is assisted by muscles, bones and soft tissues. The temporomandibular joint (TMJ) and others are used consistently in eating, speaking, yawning, swallowing and some facial movements and expressions. Many people grind their teeth either when awake or when asleep (or both). Grinding puts a great deal of stress on these joints that are frequently used. When a form of arthritis attacks or invades the joints of the jaw, particularly the temporomandibular joint, it typically causes inflammation, swelling, distortion and pain. More severe cases of arthritis affecting the joint can also limit joint movement and/or the ability to open one’s mouth and keep it open for any time. A large number of people with rheumatoid arthritis also have TMJ problems and experience jaw pain. One study estimated that as many as 90% of rheumatoid arthritis patients also have TMD. It seems that the effects of rheumatoid arthritis on the joints in the hands is a good indication of TMD severity. Both rheumatoid arthritis and TMJ are more common in women: about three times as many women than men have rheumatoid arthritis. Psoriatic arthritis can also affect the jaw. It also causes pain, swelling, stiffness. It has also been shown to be a cause of teeth grinding and a range of other dental issues, including tooth loss. A recent study found that as many as 35% of people who have psoriatic arthritis also have jaw pain. Arthritis affects the jaw by causing narrowing in the joint space, joint and bone erosion, bone deformity, and eventually complete disappearance of joint space. 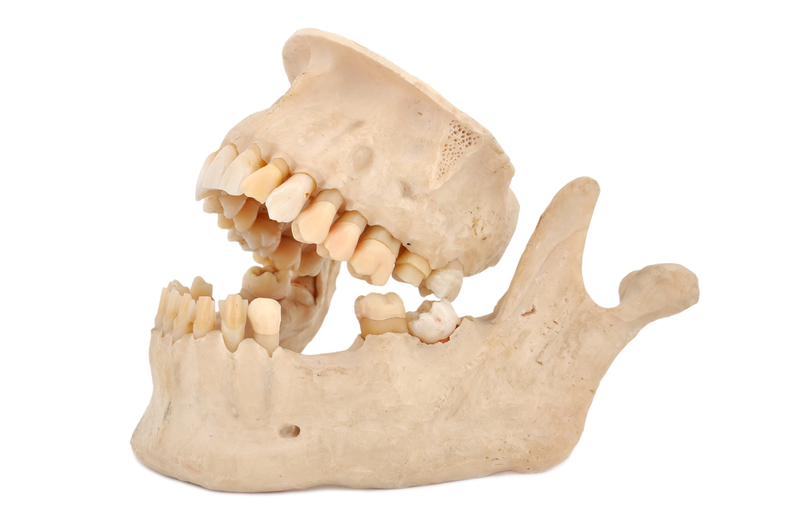 In addition to pain, the jaw may make cracking, crunching, or grinding sounds. The ability to open one’s mouth may become limited. Physiotherapy has been of no long-term benefit according to repeated studies. The effects of arthritis upon the jaw are treated in much the same way as other joints. Initial treatment with NSAIDS (non-steroidal anti-inflammatory drugs), application of heat, and steroids is typical. These drugs help to reduce pain and inflammation. The second tier of medications are typically DMARDS (disease-modifying anti-rheumatic drugs) which promote remission of the disease and prevention of additional damage to affected joints. In some cases, pain can be relieved by injecting local anesthetics and sometimes arthroscopic surgery. The best test for damage due to arthritis is the CBCT, a relatively new approach to imaging. This type of imaging detects early effects of arthritis upon the jaw more accurately than traditional X-rays. Change your diet to include more soft foods that are easier to chew. Avoid chewy candy and chewing gum. Avoid opening your mouth any wider than absolutely necessary when eating, talking or yawning. Apply ice or heat to your jaw area. Try both ice and heat to discover which treatment is most effective for you. If you find heat to be most effective, moist heat will be most effective. Mouth guards can be custom designed and fitted by your dentist, or braces can be used, to hold your jaw in the optimal position. These devices often need to be used for only a few hours per day. Your dentist will explain how and when you can derive the greatest benefit from these devices. Ask your doctor and dentist about possible benefits of acupuncture. Your doctor or dentist can refer you to a good acupuncturist. Some people find this particularly effective. Take medications prescribed by your rheumatologist or dentist regularly and as prescribed. Know what kind of side effects of your medications could affect your mouth. Some of the medications can make you more susceptible to infections (Candida or Thrush), some (e.g., Methotrexate) can cause mouth ulcers. These can often be treated with folic acid. Discuss any reactions or infections with your doctor immediately. Rheumatoid arthritis and Psoriatic arthritis are two forms of the disease that often affect the jaw. Early diagnosis and treatment can assist in pain management and in reducing inflammation. If you have arthritis and you have pain, popping sounds, or other crunching or grinding sounds when you move your jaw, it is wise to see your dentist and your rheumatologist immediately. Prompt treatment is key to controlling the effects of arthritis on the jaw and relieving pain. Some rheumatologists and some dentists may work together to treat your jaw pain. The goal of all treatment is to reduce your pain and limit the future damage the arthritis may cause. At Complete Dental Care in Salem VA, Dr Wallace is eager to work with your rheumatologist to coordinate your treatment. 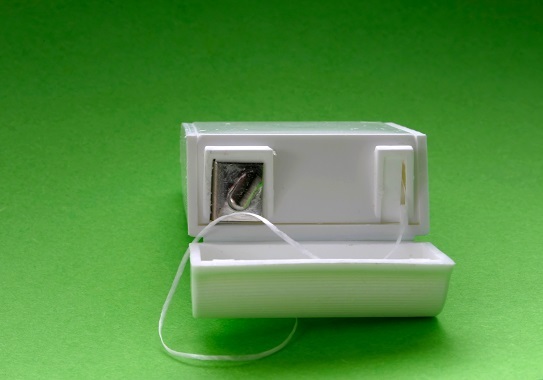 Could Some Dental Floss Be Harmful? Some flosses may increase your exposure to toxic chemicals. Pre- and polyfluoroalkyl substances (PFAS) are waterproof and greaseproof substances are used in many products. Products include fast food containers (coated cardboard packaging), certain types of clothing, stain-resistant rugs/carpets and furniture, and some brands of dental floss. In addition to our contact with them in these and other products, PFAS are also present in some contaminated water and some dust. Most important, according to the Environmental Protection Agency (EPA) is that these manmade chemicals continue to build up in the body and never break down. Some studies have shown a link of PFAS and high cholesterol, kidney cancer, testicular cancer, and thyroid disease. The biggest surprise in the study (by scientists from the Silent Spring Institute and the Public Health Institute in Berkeley, CA), was the discovery that some brands of dental floss result in elevated levels of PFAs: Glide flosses and three non-Glide flosses were positive for fluorine. What can you do? Buy and use dental floss that does not contain PFAS. When buying carryout meals, try to avoid the coated cardboard containers. Ask me when you come in for your next dental appointment about any additional research or any other actions that may help you restrict these chemicals.